Freerails > Model Railroad Forums > Kit Building > 'Grizzly Flats' Depot Color Scheme ? 'Grizzly Flats' Depot Color Scheme ? 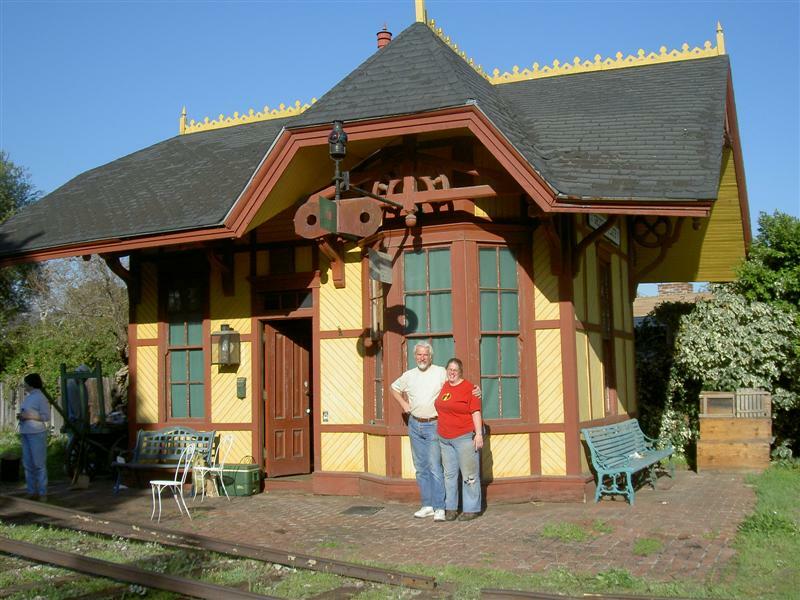 Have an O scale Mile Post Model Works kit of the Grizzly Flats Railroad depot on order. I'm intending to construct this as a straight replica of Ward Kimball's RR depot. Anyone able to name the paint scheme in the following image: http://www.blazingsword.com/train/WardKimball/WardKimball%20052.jpg (I mean, yes, it's a yellow with dark/chocolate brown trim but we all know specific RR had their own names for paint work)? I'll take a chance. How about REEFER YELLOW and ROOF BROWN...It appears that the yellow is somewhat faded (compared to underneath the eaves) and the brown looks sorta weathered also. These are pretty much "standard" RR colors. Anybody else got any ideas? Sorry for the lengthy delay in replying but have been looking after the wife, who has been in Christchurch hospital, these past ten days.